T-ROBOTICS(www.t-robotics.net), specialists in clean environment transport robots, is a Korean company in the business of researching and developing vacuum robot equipment and vacuum system (chamber) equipment for the semiconductor, flat panel display, solar cell and OLED manufacturing industries. Originally TES Co., Ltd., the company recently changed their name to T- ROBOTICS. Upon its founding in 2004, the company has been developing, producing and selling solutions needed for the semiconductor, flat panel display and solar cell manufacturing/production processes. 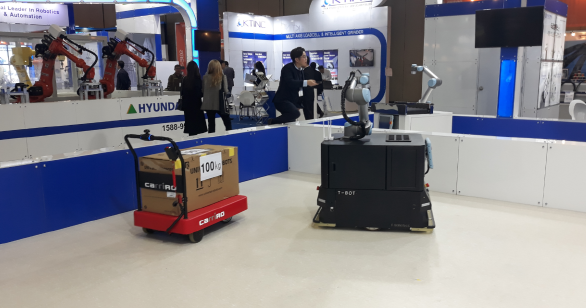 The company developed Korea’s first large vacuum robot and began commercialization in 2009, with the product being sent to the production lines of large companies. Since 2012, they have been supplying their vacuum robots and systems to China and the US as part of a larger effort to expand into the overseas market. The company is also serving as a domestic distributor of universal robots. Over the years, the company has accumulated technological know-how in the robotics field, with deep rooted knowledge involving medium and large size vacuum robots, including 'robot mechanism design technology', 'precision motion control technology', 'vacuum and cleaning maintenance technology', and 'large structure design and analysis technology'. The company also holds 35 patents, including eight overseas patents in the US, Japan, China, and Taiwan. T-ROBOTICS has been expanding its robot business by adding rehabilitation robots and autonomous driving robots into the mix. 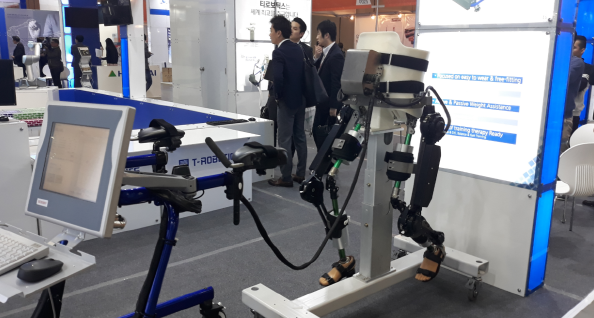 At the 2018 Robot World held in Kintex, the company unveiled their rehabilitation robot, Healbot-G, a training assistive robot that helps to train the patient to walk alone. 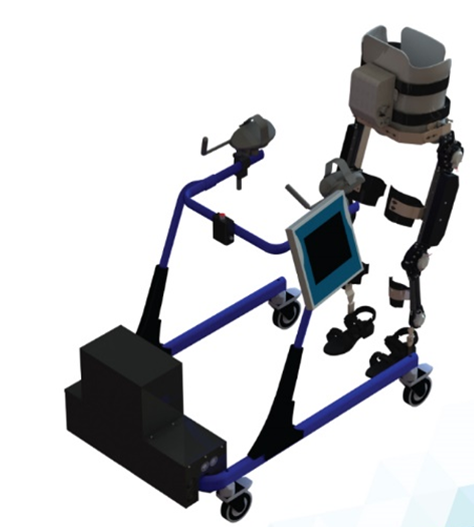 This robot offers an intuitive operation UI and provides three types of modes. T-ROBOTICS also announced the arrival of their autonomous driving robot. T-BOT R and T-BOT RC are in-house developed self-driving robots that use UR5, a cooperative robot of a universal robot. The company has applied for patents related to the suspension system and wheel suspension. The payload is 330-375kg and moves at a speed of about 700mm/ s.
T-ROBOTICS is also supplier of Carriro, the Japanese ZMP's industrial logistics robot. The robot can easily transport goods in the Drive Mode without transportation stress, and the Following Mode identifies each beacon to accurately carry goods by following and tracking human users or the carrier in front of it. In response to the growing overseas demand, T-ROBOTICS is currently in the midst of building their second plant in Osan, Gyeonggi Province, with the goal of completion in June next year. With the launch of the 11th generation vacuum robot equipment, which was jointly developed beginning in 2017 with the premier equipment company Applied Materials (AMAT), the company has proven their technological prowess by being the first in the world to break through to the B9 line of the Chinese panel supplier BOE. T-ROBOTICS is on its second wind with its recent listing on the KOSDAQ market. Moreover, the company has been re-energized with their business partnership with Applied Materials (AMAT), the world's largest semiconductor equipment manufacturer. In 2017, due to the increased activity in the semiconductor and display industries, the company boasted sales of KRW 70.7 billion, with over 60% of those sales achieved through exports.